NOW FEATURING A MULTIPLE CHOICE QUIZ! 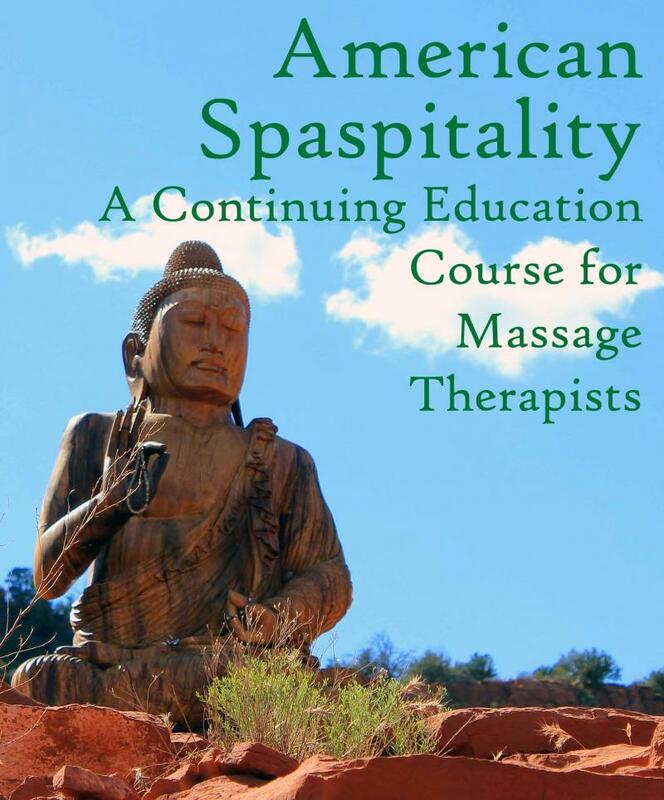 American Spaspitality is an NCBTMB approved home study course for massage therapists. Learn about the history of spas, the major types of American spas and what makes them special, spa treatments, hydrotherapy and more. This engaging text-only course was designed with the spa junkie in mind. What better way to fill your continuing education requirements? CLICK HERE TO PAY. Once your payment and properly completed quiz and survey answers are received, we will email a certificate of achievement saved as a PDF to the email address that you provided within 48 hours.